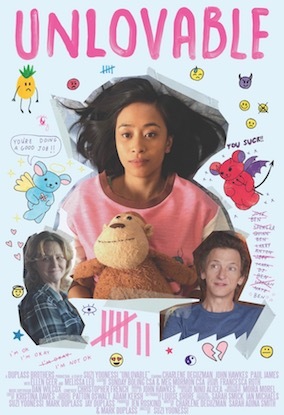 Award-winning director Suzi Yoonessi's feature film Unlovable premiered at the 2018 SXSW Film Festival, winning a Special Jury Prize. Produced by the Duplass Brothers, the film was picked up by Orion Classics for theatrical distribution. Yoonessi's film Dear Lemon Lima premiered at the Los Angeles Film Festival. The film was released by Phase 4 Films, HBO, Showtime and The Sundance Channel. Yoonessi most recently directed Daphne & Velma for Warner Bros.
Yoonessi was nominated for an Emmy for Outstanding Directing of go90's Relationship Status. She directs branded, short and commercial spots for Funny or Die, Conde Nast, Smart Girls, Attn:, Portal A, Retrofit, and Super Deluxe and was nominated for a Streamy Award for her International Women's Day spot #OwnYourVoice. Yoonessi received her BFA from the San Francisco Art Institute, and her MFA from Columbia University, where she was a recipient of the FMI Directing Fellowship.